OMAHA, Neb. (KMTV) — Snow plows hit both Omaha's major streets and residential neighborhoods Sunday. But for many city crews the work to keep the streets safe begins well before snow and ice start falling. 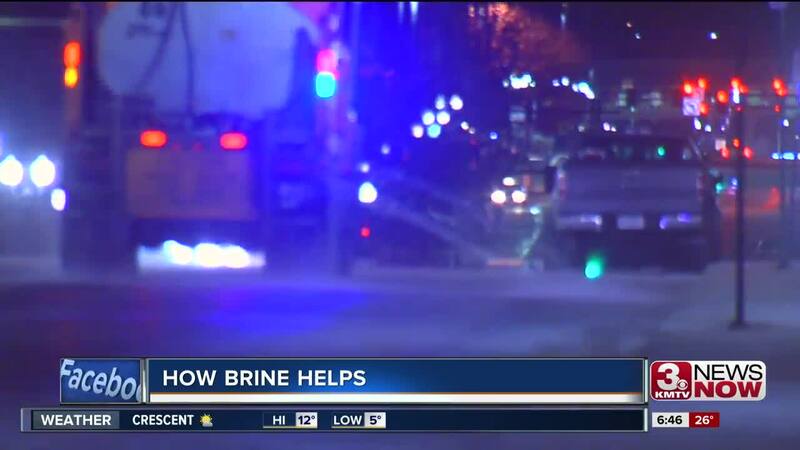 Weather Alert Team meteorologist Audra Moore takes a look at brine, and what id does to actually help the roads.